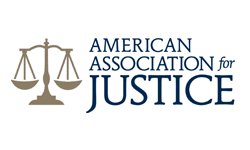 President of Arkansas Trial Lawyers Asscociation Addresses Recent Supreme Court Ruling - McMath Woods P.A. Published on Dec 20, 2011 at 3:44 pm in Consumer Awareness. Arkansas farm families are hailing a recent ruling by our state Supreme Court as a big win against one of the most egregious acts of negligence to hit the state’s agriculture industry in recent memory. But the implications go much further than this one case. This ruling is a proclamation to the world that says Arkansas is a state where law-abiding businesses can thrive without fear of corporate wrongdoers trying to gain unfair advantages, that Arkansas is a place that puts Arkansas jobs and businesses ahead of out-of-state foreign companies and, most importantly, that Arkansas is a state that puts its Constitution and people ahead of politics. In case you missed it, the case pitted both Arkansas farmers and Riceland Foods Inc. against the German conglomerate Bayer, which was found to have recklessly tainted Arkansas’ rice crop with genetically modified grain. As a result, the market dried up, leaving farm families and the agriculture industry severely damaged. A jury of Arkansans heard both sides of the case and ruled against Bayer. The jurors found that the farmers should get back those losses caused by Bayer, and they also determined that punitive damages were justified as a way of punishing Bayer for its appalling actions and deterring future parties from such catastrophic behavior. It was this action that spurred a media frenzy from the corporate special interests. You see, in 2003 a bill was passed in Arkansas that placed severe limitations on what citizen juries could do to hold wrongdoers accountable. It would appear that some in power had decided it was better to protect negligent corporations than protect the average Arkansan. Nevertheless, the bill passed. One of its provisions was a significant limitation on punitive damages, which are meant to punish particularly heinous behavior and deter it from happening in the future. The bill’s supporters said limiting them would protect Arkansas businesses, but in reality, the only parties in danger of seeing large punitive damages were those for whom $1 million is but a small CEO bonus. The truth of the matter is that the bill was a big business bailout, a “get-out-of-jail-free” card that says you can harm Arkansans or Arkansas businesses and the only real punishment you’ll receive is a slap on the wrist. Now, I don’t know about you, but I’ve about had my fill of negligent corporations taking advantage of everyday citizens and un-leveling the playing field against those businesses that work hard and play by the rules. These days, newspapers are filled with accounts of Wall Street players, similar to Bayer, flouting the law, acting only in favor of higher profit margins and bigger bonuses. Making laws to protect them not only grows the size of government and increases interference, but it also serves to attack our Constitution and the values our Founding Fathers fought so hard to defend. In the coming months, we are sure to hear an even greater outcry from the corporate special interests about how a separate, Constitution-abiding judiciary system is “bad” for business in this state. In fact, they’ve already started, and it is especially disconcerting coming from groups such as the Arkansas State Chamber of Commerce, as this particular court case was about Arkansas businesses versus out-of-state corporations. Why aren’t they siding with Arkansans? Could it be that the interests of Arkansas businesses are secondary to the demands of Wall Street in their opinion? In the end, this case signals a win for Arkansans and Arkansas businesses like Riceland. We should be applauding a Supreme Court that actually abides by the language in our Constitution and isn’t subject to whatever political breezes happen to be blowing. Our nation, and consequently our state, was set up this way for a reason, and to lobby our Constitution out of existence would be nothing short of treading on the very values this nation was founded upon.